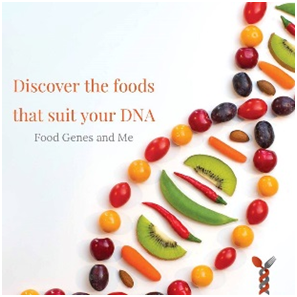 You’ve visited our Food Genes and Me (FGAM) site, completed your survey, and uploaded your genetic file– thank you and congratulations! Now, you see your beta-version of your dietary suggestion report, and may have questions. Let’s take a closer look at one example question, raised from some of our first reports. What is the right amount of alcohol consumption for you? The example report has two suggestions for alcohol consumption, one telling you that drink alcohol is acceptable and one telling you to drink a very small amount of alcohol, if any. While this or similar problems may not be revealed at other recreational genetics sites, it is common to have this situation, and FGAM has chosen not to hide this issue, although it may be a confusing complication. In this BLOG post we address why this happen and thus, what should you do? But first, lets take a look at the details. Well, you can’t do both? So why does this happen? There are many scientific studies on different diseases examining the same foods or nutrients, and sometimes a particular food may be good for one outcome, but bad for another; this also depends on your genetics; If any nutrient is studied enough this is a likely outcome. Another reason is science is still evolving in most areas of genetics. At FGAM we prefer to inform our customers and have them choose based on additional factors. The reasons are: 1) You should be aware of the problem; 2) The prevalence of the disease matters; and 3) This is really not a decision we can make for you, as you need to consider other lifestyle factors and the health history of your family. Okay, that is why we have a problem, but what should I do? To help you make a decision, here are some more details. Esophageal Cancer - Humans have multiple genes that are the involved in metabolizing (breaking down) the alcohol we consume. One of the genes important for this process is called Aldehyde Dehydrogenase 2, abbreviated ALDH2. People with this mutation are at higher risk of Esophageal Cancer. Esophageal Cancer is a disease affecting 1 in 18,912 people per year. If you have this mutation and consume greater than 14 g of Ethanol per day your odds will be increased to 1 in 3,050 – not good. However, if you carry this mutation you can take action by consuming less than 14g of alcohol per day! Most people can consume moderate amounts of alcohol with minimal effects upon their health, but this may not be the case for those carrying this mutation. Alcohol-induced Pancreatitis - Humans have multiple genes that are the involved in metabolizing the alcohol we consume. One of the genes important for this process is called Protease, Serine 1 and abbreviated PRSS1. People with this mutation are at lower risk of Alcohol-induced Pancreatitis. Alcohol-induced Pancreatitis is a disease affecting 1 in 17,778 people per year. However, If you consume more than 2/3 of a glass of alcohol daily your odds will be reduced to 1 in 24,221. In this case alcohol consumption is beneficial! But don’t go nuts – that will cause other health problems. Well what factors should you consider in your decision? Again, we suggest you consider severity, risk, prevalence, and family history. Lets take a look at how this plays out for our two alcohol consumption variants. Cancer is generally a more severe and life-impacting disease than pancreatitis (inflammation of the pancreas). However, pancreatitis can also be lethal. This appears to favor low alcohol consumption. Drinking alcohol increases your riskof esophageal cancer about 6-fold, while it only reduces pancreatitis very little – about 1/4 fold. So as far as reducing risk, you have much greater benefit from low alcohol consumption. Both diseases have similar prevalence in the population, so this is a wash. Also note that these risks are all less than 0.1% chance, so odds are they will not affect you. In the case of this person’s report, one of their uncles unfortunately had esophageal cancer so their family history should be weighted strongly and override any other factors. In this case it is clear that this person should drink less alcohol as esophageal cancer now becomes a more major concern. As you can see, two variants can have opposing health benefits andweighing the effect needs to be done on a case-by-case basis. If you have concern, and especially a family history, you should share our report with your doctor or a genetic counselor to help you decide how to proceed. Given the real world nature of drinking alcohol - having 1 or two drinks or splitting a bottle of wine with a friend - it is unrealistic to measure daily consumption in fractions of an ounce. So the question becomes, is alcohol consumption cumulative? If I have on shot on one day and none on the next, have I had 1/2 a shot a day and met the maximum limit? If so, over what maximum time duration is the average consumption to be measured?